Advocate Rakesh Dwivedi, appearing for Gujarat government, conveyed this to a five-judge Constitution bench headed by the Chief Justice of India which is hearing a batch of petitions challenging the Constitutional validity of Aadhaar Act. The matter will now come up for hearing on March 6. Biometric details stored in the State Resident Data Hubs had been “destroyed” after the Aadhaar Act came into force, the Supreme Court was told Thursday. Advocate Rakesh Dwivedi, appearing for Gujarat government, conveyed this to a five-judge Constitution bench headed by the Chief Justice of India which is hearing a batch of petitions challenging the Constitutional validity of Aadhaar Act. He said he had confirmed this with UIDAI officials. State Resident Data Hubs were created by IT departments in some states using data collected by UIDAI to identify beneficiaries of government schemes. 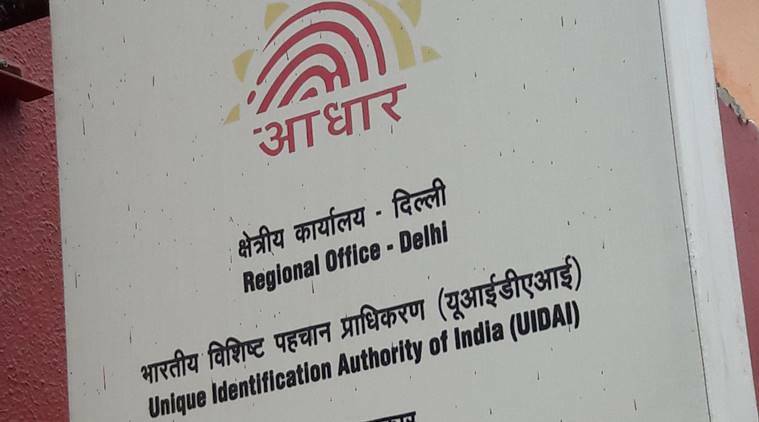 The Aadhaar Act does not contemplate storage of biometric information at state-level, he said, adding the details will be stored only in the Central Identities Data Registry now. Meanwhile, continuing his arguments for some of the petitioners, Advocate Gopal Subramanium said Aadhaar had a “creeping coverage”. “It begins as if for the poor…Then goes on to cover the whole population”, he said. He submitted that in the absence of a data protection law, vulnerability of data leakage was heightened. Referring to earlier directions of the apex court where it had said that Aadhaar could be used for activities like Public Distribution System, he contented that the court had power to set up proper forums to identify those who had lost on account of state not following the court orders and compensate them. The petitioners also brought to the court’s notice the fact that the deadlines for linking Aadhaar to various services would end on March 31 and sought its extension. But the bench said there was still time and it would look into it later.